Coupons valid until August 20, 2018. May redeem multiple coupons per person. The course is personal and non-transferable and can only be used once. For more info contact office@cervantes-idiomas.com. No Cancellation. No carry over. VAT included in price. Standard terms & conditions apply. Master the Spanish language by attending professional courses wherever you are! Benefit from Online Spanish Learning Courses by Cervantes Idiomas, starting from $19 instead of $299. Cervantes Idiomas has over 10 years of experience in teaching Spanish. Their courses have been prepared by professional native speakers. 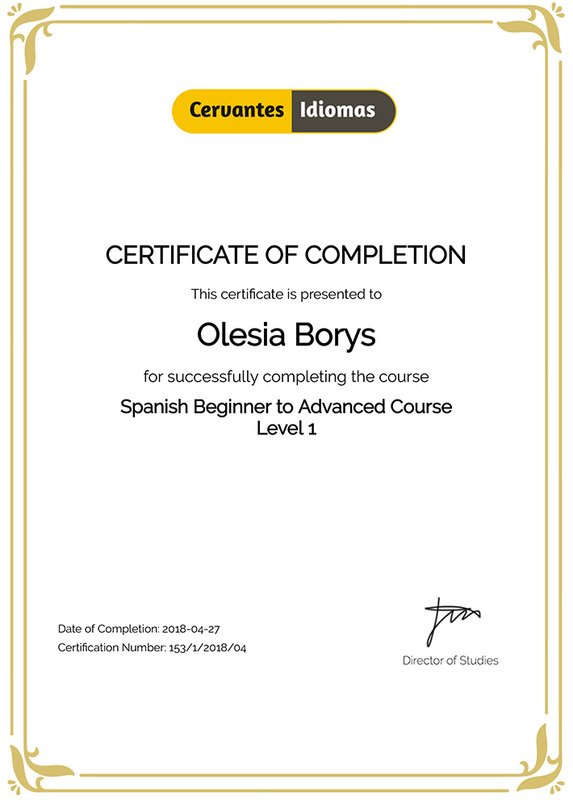 The goal of the language course is to help you achieve concrete improvements in your ability to speak Spanish and obtain an International Language Certificate! The platform is user-friendly with a modern learning system, it includes wide theoretical material including audio and great multifunctional exercises.